As a fashion lawyer with a penchant for blazers and pointy pumps, I may not come across as your typical music festival flower child. However, I'm die hard when it comes to Coachella and am counting down the seconds to my trek back to Indio in April for yet another epic weekend brimming with fab music, fab moments, and fab friends. It's a transformative experience that always leaves me wanting more. Coachella, I can't quit you. At the three-day festival, fashion and music collide as every iteration of boho style spans the length of the Empire Polo field. When it comes to my music festival personal style, I gravitate towards versatile clothes, shoes, and accessories that can be worn on and off the field like my GUESS floral blouse, shortalls, and white booties. When styled together, the outfit is a playful and feminine take on classic festival style. 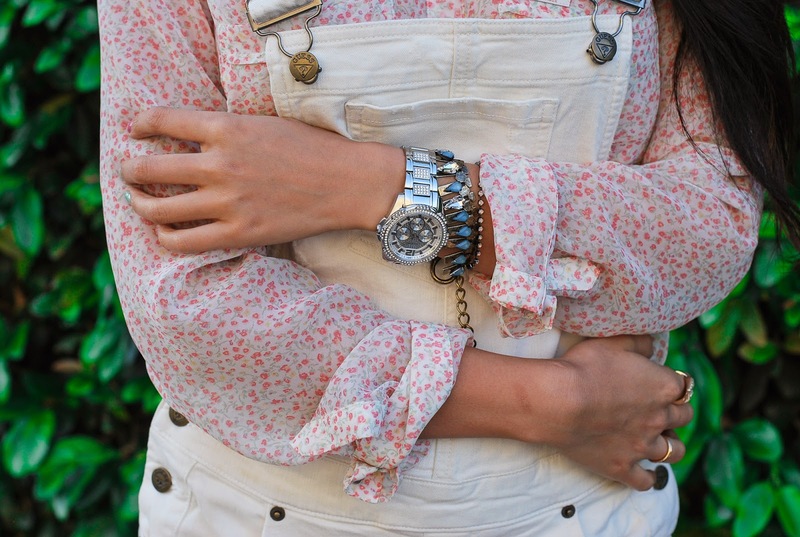 I love the soft floral print of the blouse and can see myself wearing it with just about everything in my closet. The white shortalls are a Coachella staple and are also one of the biggest spring/summer trends which means I'll be rocking them long after my weekend in Indio. I love my Sana booties which have a slight Western edge but are neutral enough to be paired with shorts, jeans, and dresses while the chunky heel provides comfort for three days of dancing and walking. .
Oh Coachella, can you get here already? I'm dressed for your arrival. Perfect festival look, we like it and we would wear in our festival Arenal Sound too! I love everything about this outfit, perfect for spring too~!